Our company was established in December of 1989, starting its performance in a rented workshop of 100 square meters. Currently, the company owns a production facility with 14,000 square meters of floor space in 6 manufacturing halls. In 2012, we evolved to international scene, becoming part of the Norwegian based Halvorsen Group possessing a prestigious history in the Oil & Gas industry. The honorable attention of such remarkabel firm reinforced our confidence, that our company represents appropriate quality, expertise, and determination to international markets. 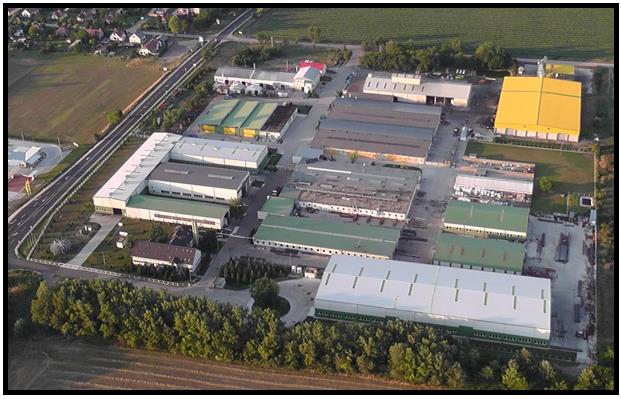 Our primary activity is steel structure manufacturing at our site, close proximity to the Austrian border. We possess own material testing laboratory, where we apply digital X-ray evaluating procedure. Besides this, our load test station enables us to perform load tests for lifting equipment for certification process. Our scope of activity is on wide range, and flexible to future needs.